From shimmering lakes to historical architecture, Slovenia will take your breath away with its range of fascinating sights. While its capital, Ljubljana, and most famous lake, Bled, have been popular among visitors for a number of years, the country has far more to offer than these well-known landmarks. If you’re visiting Slovenia in the winter, don’t miss out on the incredible Julian Alps, which are home to 145 kilometers of ski slopes and nearly 90 lifts. If you’re spending the summer in this mountain range, you can explore its 100 kilometers of hiking trails. Mount Triglav is Slovenia’s tallest peak at 2,864 meters. The best-known goes up Slovenia’s tallest peak, Mount Triglav (2,864m). This is an extremely challenging hike, featuring steel ladders and ropes, so don’t brave it unless you feel thoroughly prepared! While Lake Bled is Slovenia’s most popular lake, Lake Bohinj is far larger (3.3km2). The latter lies at the heart of the Alpine Country, offering spectacular views of Mount Triglav. From the lake, you can head up Mount Vogel, which has fantastic ski resorts, or check out the Mostnica Gorge, with small waterfalls, bright blue water, and a rugged limestone landscape. 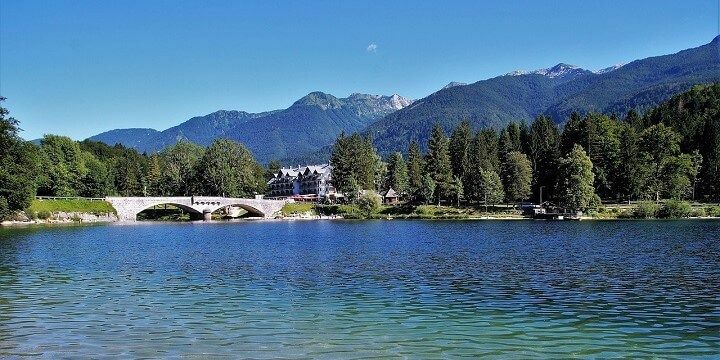 Lake Bohinj is located in the heart of Slovenia. The waters of Lake Bled stay warm well into fall, making it a popular spot among swimmers. After taking a dip, be sure to check out the lake’s baroque castle, which sits on a 100-meter-tall hill overlooking Bled. Lake Bled is Slovenia's most popular lake. Alternatively, stroll around the small island on the lake’s western side to see a gorgeous 14th-century church that houses a golden baroque altar. 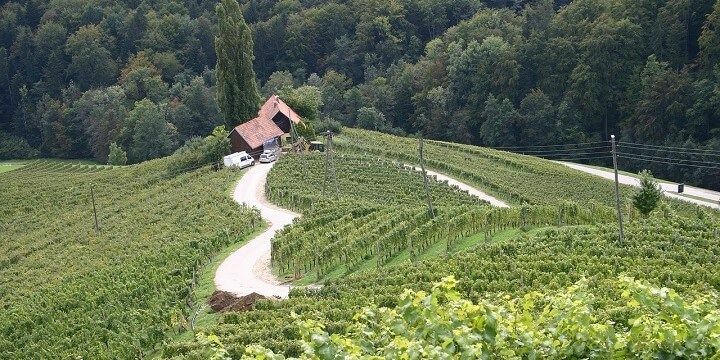 Slovenia is home to a range of valleys, offering vineyards, ski resorts, caves, and more. The Soca Valley is best-explored by following the 25-kilometer-long Soca Trail. The Soca Trail runs along the Soca River. Along the way, you’ll see the emerald water of the Soca River, as well as the ornate bridges that cross it. If you’re more of an adrenaline junkie, you could raft or kayak down the river, or zipline across the valley. Looking for a more chilled experience? Head to Vipava Valley to explore Slovenia’s incredible wine region, famous for red and sparkling wine. Vipava Valley is Slovenia’s wine region. 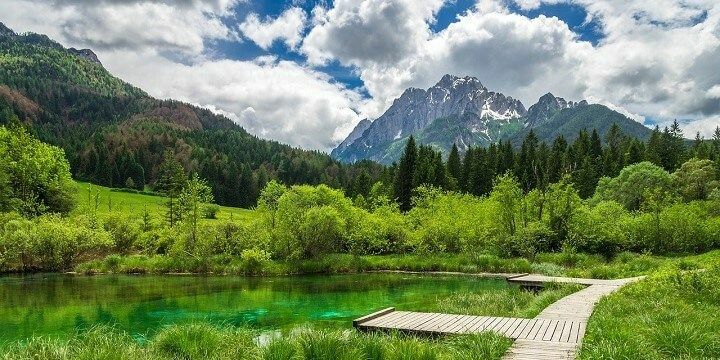 If you want to see more of Slovenia’s natural beauty, visit Logarska Dolina. This glacial valley has more than 40 natural attractions, including caves, rocks, springs, and 20 waterfalls. Postojna Cave is one of Slovenia’s most-visited sights. The cave is actually a system of caverns, halls, and passages, which you can explore by foot, or with the popular underground train. The railway will take you on a 90-minute tour past the cave’s most important features, including its ginormous 16-meter-high stalagmite. 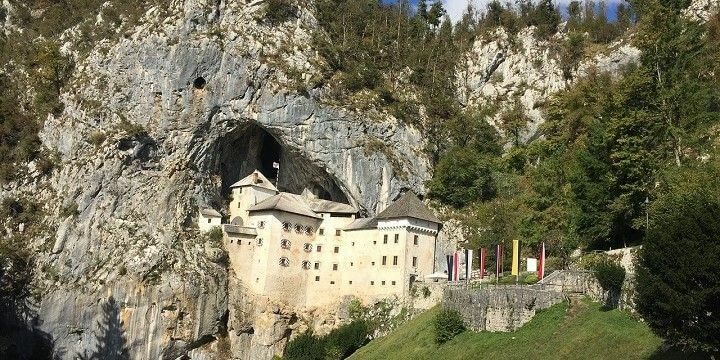 Be sure to travel just a few kilometers from the cave to see Predjama Castle, the largest cave castle in the world, which has been standing for over 800 years! Predjama Castle is the largest cave castle in the world. The Skocjan Caves are less busy, but equally as breath-taking. Carved out by the Reka River, they are home to the largest subterranean canyon in Europe, standing at over 146 meters high. The Skocjan Caves also feature 26 underground waterfalls, a range of stalactites and stalagmites, and many walking routes. 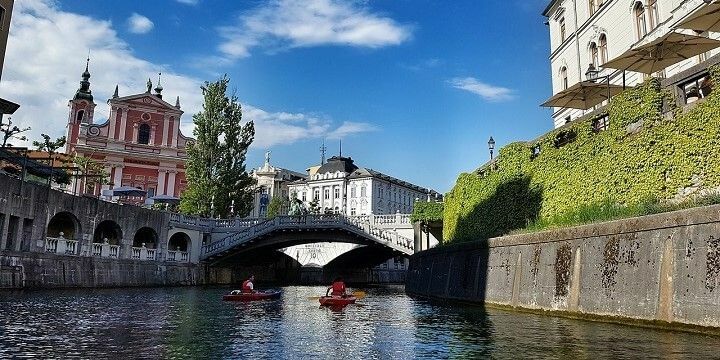 Ljubljana’s main attraction is its cobblestone Old Town, featuring sights like the Cathedral of St. Nicolas, the Robba Fountain, the Town Hall, and, most importantly, the Ljubljana Castle. This 16th-century castle perches on top of a 375-meter tall hill overlooking the Old Town. Ljubljana is Slovenia's capital city. If you’re looking for some evening entertainment, check out Metelkova Mesto, the city’s old army barracks that now host live events, and are home to galleries, bars, and cafés. If you wish to simply relax, head to Park Tivoli. Spread across five square kilometers, Ljubljana’s largest park hosts tennis courts, a bowling alley, museums, and art exhibitions. Slovenia’s coastline may be small, but there’s still plenty to see and do. There are several Venetian seaside towns, including Kopa and Piran. The latter sits on a narrow peninsula that juts into the Adriatic Sea. It has plenty of Venetian architecture, including a beautiful Renaissance cathedral. 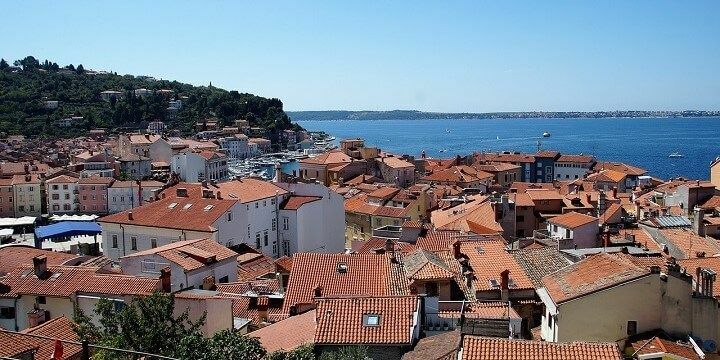 The town of Piran sits on a narrow peninsula that juts into the Adriatic Sea. The resort town of Portoroz, meanwhile, is a completely different experience. Portoroz is home to busy beaches with waterslides and beach chairs, surrounded by restaurants, bars, and casinos. If NextStop24 helped you to choose your next travel destination, we'd be very grateful if you’d search for your accommodation and things to do in Slovenia through these links. They're affiliate links, which means that we will receive a small commission for every booking made through them. There are no extra costs for you; you'll simply be helping to keep NextStop24 running. Thanks! I found this lovely place through my own research and I absolutely loved it. Soca Valley is the adventure capitol and I couldn't agree more. 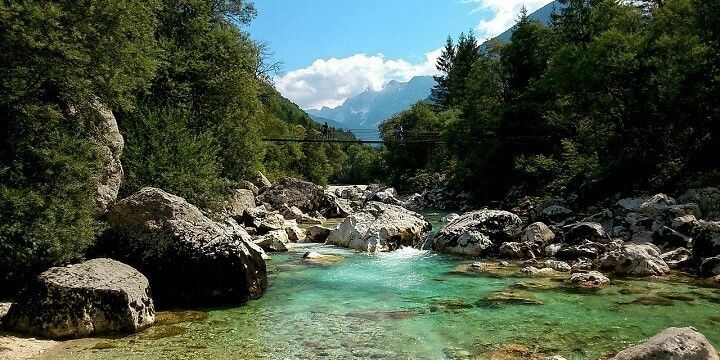 It is famous for rafting on the turquoise Soca Valley and nearby you will find Triglav National Park for some excellent hiking! I highly recommend this place. Quick fire: - Rent a car to explore; - Visit the wine region of Goriška Brda (Slovenian Tuscany); - Swim in Lake Bled, climb up to the castle for sunset; - Visit lake Bohinj, hike up to the waterfall, Slap Savica. - Slovenia seaside. Think palm trees, apertivo and water as welcoming as the locals. Pick Koper over popular Piran. - Open Kitchen - every Fri: 1pm - 9pm. Market stalls offering a taste of restaurants in Ljubljana; - Take no. 8 bus to Smarna Gora for a 40 min hike worth the view; - Vegan (friendly) restaurants: foculus, abi falafel, organic burger, barbarella; - Tivoli park - a huge and endless gem you should definitely explore. Slovenia wasn't somewhere I'd heard of before planning my inter rail trip, but it soon became my favourite destination. Picturesque scenery, fantastic hike trails, warm weather and as many lakes as you could possibly dream of. Ljubljana is a really cool cultural hub, with some of the nicest food and drink I've ever tasted. 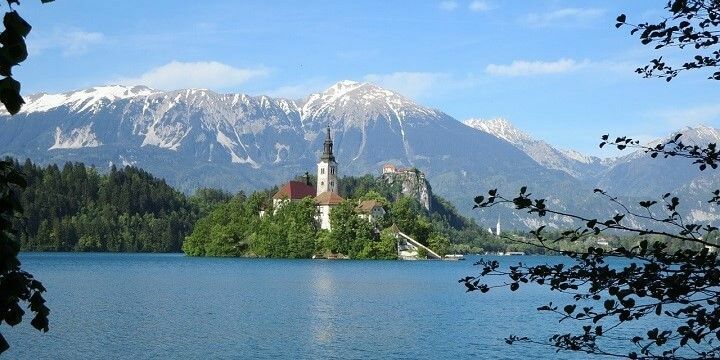 I recommend Lake Bled, Lake Bohinji, the Triglav National Park and the Vintgar Gorge.